Guided Tours, Shuttle Service, Bicycle Rentals & Repair, Mountain Bike Instruction, Outfitting & Event Support. The premier fly shop & outfitter in northern Colorado\’s Front Range and Southern Wyoming. 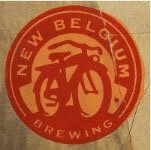 One of Fort Collins oldest and largest micro brewing companies, New Belgium offers free tours with an awesome Tasting Room and Gift Shop. Book your tour on their website. Need someone to watch your dog while you go rafting, look no further. 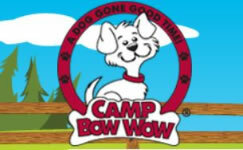 Camp Bow Wow & Home Buddies fetches peace of mind for pet parents with our premier doggy day and overnight Camps® and in-home pet care services. We offer the highest levels of fun, safety and service for our Campers. Welcome to the Hilton Fort Collins, situated in beautiful Northern Colorado and nestled in the foothills of the Rocky Mountains. This Fort Collins hotel boasts an excellent location and offers discounted prices to our rafting guests. Our campground is open all year and surrounds a ten-acre lake with catch-and-release fishing, paddle boats, and a fitness trail. We have a beautiful mini-golf course, swimming pool, bumper boats, a jumping pillow, and a video arcade that are open from Memorial Day through Labor Day. Vern’s Place Located right above our retail store, Vern’s is the perfect rest stop and supplier for tourists and sportsman. Fill all your needs for a great meal, groceries, gifts and souvenirs, sporting goods, fishing and hunting licenses and gasoline. A family tradition since 1946. 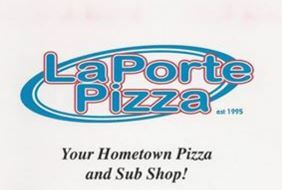 Your Hometown Pizza and Sub Shop! Dine In, Carry Out and Delivery. Pizza, subs, salads and Italian Specialties. Our guides favorite place to eat for lunch! Located just one mile east of our meeting area. Beau Jo’s pizza is legendary among Colorado outdoor enthusiasts. This tasty restaurant offers 15% off to anyone that goes rafting with our company. With a huge selection of pies to choose from you can’t go wrong choosing Beau Jo’s after a rafting trip on the Poudre River. Offering a brewery and two restaurants in one location, Coopersmith’s has been a locals favorite for over two decades. Located in the heart of Old Town Square, this unique restaurant proudly provides an atmosphere that caters to all different types of crowds. Many groups of all ages enjoy a night of billiards at Poolside. Others prefer to have dinner at Pubside. No matter the age, no matter the crowd, the diversity in beers, food, and activities at Coopersmith’s is sure to keep everyone coming back for more! This is Rawah Ranch: an all-inclusive fly fishing lodge & guest ranch, the perfect Colorado vacation. Bring out your inner cowboy on a backcountry horseback ride over mountain passes or through boundless groves of aspen. Enjoy a beautiful hike through the alpine meadow where elk and moose wander freely. Or just relax on the porch…. your choice. 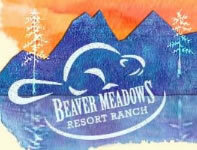 Beaver Meadows Resort Ranch is stocked with inviting charm featuring a locally-loved log-framed restaurant, family and pet-friendly guest lodging, riding stables, and special event facilities.For over 30 years, Beaver Meadows has offered a secluded, rustic retreat for outdoor enthusiasts, families, and guests looking to get out and play the real Colorado way. We’re located along the scenic Cache La Poudre River along Colorado Highway 14 that is kept open year round, so you can have the confidence to escape anytime. We have studio, one, two and four bedroom log cabins, full service RV sites and tent sites. Estes Park’s most experienced Fly Fishing Outfitter. Scot’s Sporting Goods offers guided fishing trips, fishing gear, camping gear, outwear clothing and equipment rentals. Guided half and full day horseback rides in Estes Park and Rocky Mountain National Park. Estes Park Rentals offers new 2013 ATVs, UTVs, dirt bikes, and newer model 4×4 Jeeps, perfect for exploring the beautiful back country of the Rocky Mountains. Rides / Rentals / Tours / Backcountry Biking Adventures in Rocky Mountain National Park & Estes Park. Famous for its old world charm, The Stanley Hotel boasts spectacular views in every direction and is less than six miles away from Rocky Mountain National Park. Estes Park lodging nestled between the cool clear waters of Fall River and the granite peak of Old Man Mountain, Streamside’s Estes Park Cabins are one of the Rocky Mountains’ most unique resorts. When looking for Lodging in Estes Park then an Estes Park Cabin is the perfect choice! Annie’s Mountain Retreat cater’s to Couples and each cabin has its own Private Outdoor Hot Tub. Offering 21 vacation rentals situated on 14-acres. Conveniently located a half mile to downtown Estes Park and five miles to Rocky Mountain National Park. Our condos each offer a full kitchen, private bedrooms and views from your patio or balcony. Saddle and Surrey offers a variety of nice clean rooms. We are located in Estes Park 1 1/2 mile south on Hwy. 7, one block from the 18 hole golf course. Near fairgrounds and Rocky Mountain National Park. Restaurants are within 1 mile. Enjoy your stay! Rocky Mountain Resorts For the ultimate Colorado vacation experience, be sure to make Rocky Mountain Resorts your Estes Park Colorado lodging choice. Stoney River Lodge is located on the Big Thompson River between Loveland, Estes Park and Rocky Mountain National Park. We are just just 13 miles from Estes Park. It has long attracted visitors looking for clean affordable lodging and cabins in the Rocky Mountains. Stoney River Lodge offers several pet friendly rooms and a wonderful play area for the kids. Estes Park, Colorado vacation home rental. Providing incomparable views of Rocky Mountain National Park. Hideout Cabins – Your Rocky Mountain Hideout! Charming, private vacation cabins off Highway 7 in Allenspark and Raymond, conveniently located to Estes Park. The Baldpate Inn – A Classic Mountain Getaway offering spectacular views, intriguing history, scrumptiously fresh food, caring staff and cozy accommodations. Yogi Bear’s Jellystone Park™ of Estes Situated in the midst of the Colorado Rockies and the Roosevelt National Forest, Jellystone Park of Estes is the perfect Campground and RV Park for your family to explore nature at its best! We have one of the most complete stores for kayak gear on the internet. No sales tax and affordable shipping. Poudre River daily streamflows and happenings. 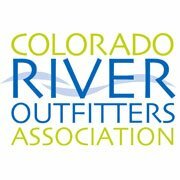 Online rafting guide including photos, outfitters, and trip reviews. 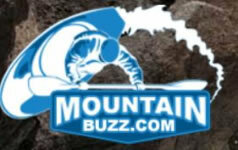 Mountainbuzz.com Mountain Buzz is a leading online community for whitewater rafting and kayaking paddlers. Their site includes river flow info, lively discussions and a great photo gallery. River trips on the Blue, Colorado, Arkansas and Dolores Rivers as well as Ten Mile and Clear Creek. Shockwave Adventures specializes in non adventurous and adventurous adrenaline rush activities including whitewater rafting on the Zambezi River in the Victoria Falls region of Zimbabwe. California White Water Rafting – American River Recreation offers fun and exciting California rafting trips for rafters at any skill level. Offering river trips in Oregon & Washington on 8 scenic rivers since 1979!